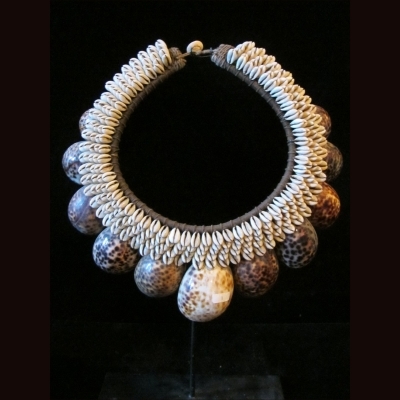 In papua this necklace are used for bides payment for dawry. beatifully decorated with cowry shells and doted shells . item come with custom stand.